I have a persistent caller from a registered charity (top three in the pix), that is very regular in phoning me on a daily basis. The numbers are blocked on my mobile and voip phone, but with my telcos landline I cannot block numbers with the Vtech phone I use so I let it go through to the answering machine. Normally this stops them cold and they hang up. Yesterday, they must have been totally p!ssed off as they used a fair few profanities in what ever gibrish they speak, Plus a few well chosen words in English. The numbers are blocked on my mobile and voip phone, but with my telcos landline I cannot block numbers with the Vtech phone I use so I let it go through to the answering machine. Old thread bump and update. 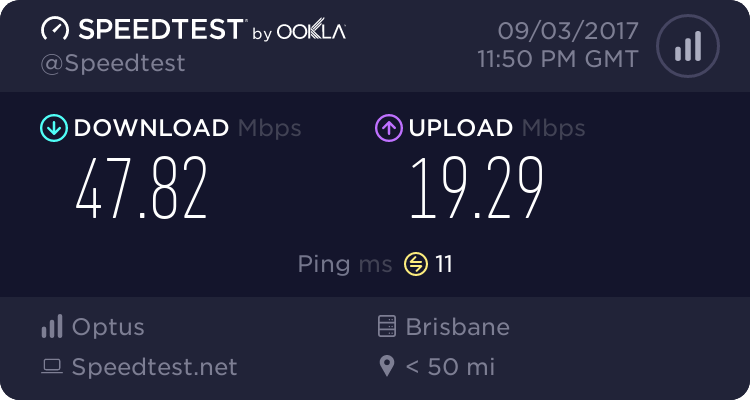 I solved the problem, I have now blocked the numbers on my telco's phone by running the cable thtough my Gigasets A510 second phone port. I had completely forgotten about doing this after the stuffup of the new FTTN connection a couple of years back. That go shot of the Vtech phone hogging bench space and a power point. So no more sh!t from Fred's telemarketers. Edit: A bit of clarity for those easily confused about about phone and ssids and other stuff. I've found an app for my phone that blocks all numbers not found in my Contacts list. I've been quite pleased so far. Will add it to the free tools as soon as I remember to find the name. 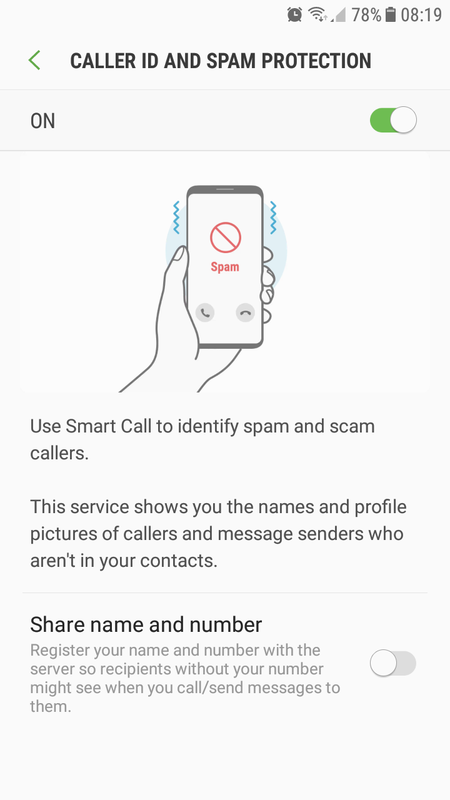 Samsung have a app in the new phone that does this, I already have a shedload of spammers blocked in contacts but the app flashes red if the number ringing is sus so you can block it. @DCiAdmin The built in app I mentioned is called Smart Call on later model Samsung phones. There is a flashing red question mark not visble in the pix. @Arctos - Here in the U.S. there is a service that you can signup for that screens your incoming calls for known telemarketers and spam callers then reroutes the calls to a recorded message that says your number is no longer working. I believe it is free. I just can't remember the name of the service at the moment. Here is the link to service Youmail that hosts the blocking service. Another service is called Nomorobo which is free for land line phones and is $1.99 USD a month per device. Might be worth the fee. @Lord Chance thank for the links LC, but I do not answer the phones if they are not in my contacts. With the VOIP phone I have a black list as well as the main directory (contacts) which I can now put my telcos spam numbers in. 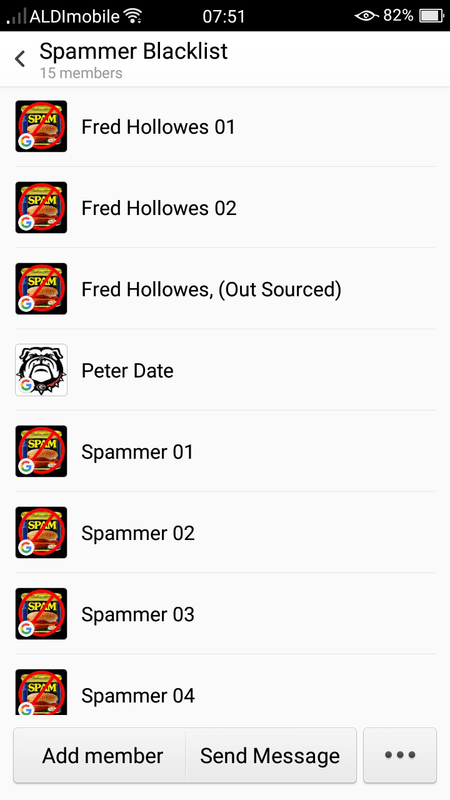 The blacklist has about the same number of spammers as my mobile has in its list. I was toying with the idea of getting one of those raspberry pi thingies and put FreePBX on it, I could then put "It's Lenny" on it that solve the spammer problem, but to be truthful I am losing interest in stuff as I get older. Aye Mate, I rarely answer the house phone and if the caller is not in my contacts list on my mobile then it doesn't get answered either. The links might be useful for someone. Funny you should mention the Raspberry Pi. I just bought another one a few weeks ago and I still haven't decided what to do with the first one. I think OldTimers disease is setting in. Just remembered to look up the name of the App I'm using for call block. It's Calls Blacklist - Call Blocker by Vlad Lee. Does a pretty wonderful job for a freebie The link will take you Google Play download for apps by Vlad Lee. You can set it up to automatically block Calls and/or SMS (text) from callers NOT in the Contacts list. It is possible to manually add to the black or white list as desired.